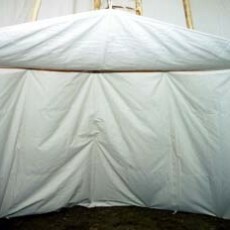 An Ozan is a drop ceiling for the back part of your living area in a tipi. 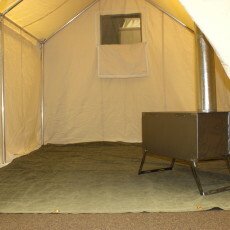 It is to be placed above the liner and will help to keep the the living area warm and dry. The Ozan accomplishes this by shedding the water behind the tipi liner. You can also hang another piece of fabric (maybe a colorful one) and use it as a privacy shield. This can also keep bugs out of the back compartment while you sleep. You can use it as your sleeping quarters.